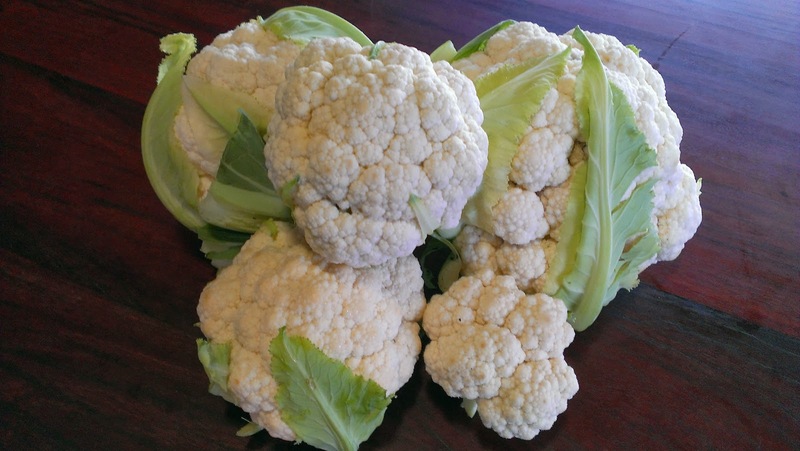 Right now I am in the middle of a cauliflower glut. The caulis I am harvesting now are my second planting of caulis - planted around Easter I think? This was the little stash from recent pickings I had in my fridge this evening. Clearly something needed to be done with them. What to do with so many cauliflower? Tonight I made Cauliflower Fritters and they were very good. 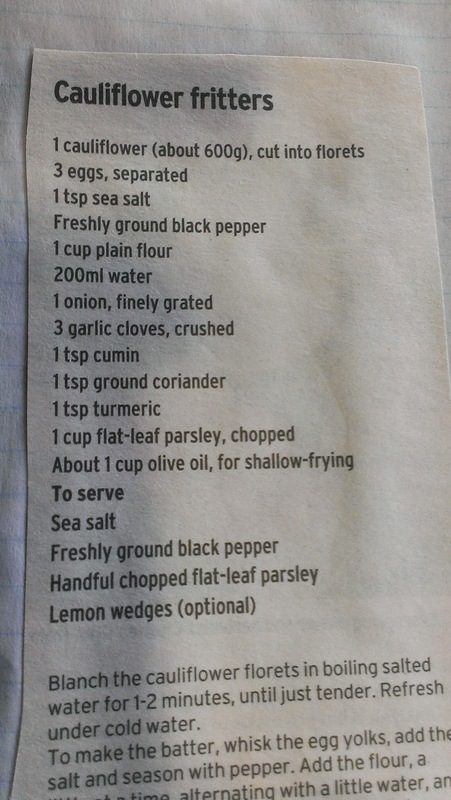 The recipe was stuck in my recipe folder and had obviously come from a newspaper or one of those newspaper magazines. I can't credit it better than that I am afraid, it was cut out in some dim and distant past. 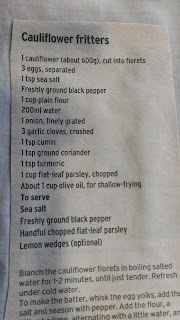 The recipe calls for three eggs and parsley as well - all of which came from my chickens and my patch. 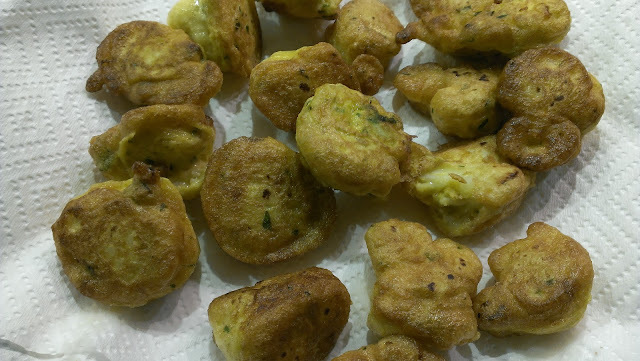 The fritters were shallow fried and were brilliant with a little Brinjal pickle. Thankfully there is an excuse to have this again tomorrow night as there is plenty of batter left over and of course plenty of cauli still to be used up.